Are there any books or videos out there that teach you SLOWLY and do not focus on learning TABS? Are there any books or videos courses that just teach you how to practice acoustic guitar and its not complicated either? I know that there are lots of video course, books, youtube videos out there for learning to play guitars. So I'll explain my requirement more clearly. Guitar books, that I have seen, all teach the same way - spend a lot of time (chapters) on guitar history, guitar specifications, different kinds of guitars, various famous guitar people, different genres of music, how to hold, how to tune, how to repair strings and finally they come down to how to reading tabs. From this point it becomes an overdose. They are teaching too much instead of teaching little and practice little. They directly start teaching tabs like molecular biology. All I want to do is to learn how to hold down chords, practice playing 2-3 chords such as G C G C or G D G D and slowly be introduced to new content. Instead of making you practice simple chord-changes they stuff the entire encyclopedia on tabs down your throat. While you're digesting this you come to the next section - reading tabs. Next thing you see starting right from the very first tab its ridiculously complicated. There are too many variations on the guitar strokes (the pace at which you are playing), different chords (usually 4), different notations and to top it all the spacing between the notes is uneven. 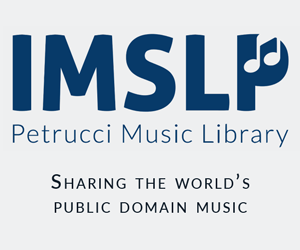 Skip to the next tab and you see completely different notations from the first tab. Skip to the next and you see they have now increased the pace. There are much more notations for the same period. And then you just feel like giving up. One such book is the dummies one for learning guitar. Books that I have seen seem to focus too much on theory. A good book in my opinion is one where every chapter you learn a mixture of different things - 1-2 chords, bit of patterns, bit of practice. So every chapter is similar to the previous one but it is still adding on to your knowledge. It has a mix of learning tabs, chords, some simple tunes etc. So you are leraning little at a time and practicing whatever you are learning. What I have seen in present books is each chapter dedicated to one aspect. So suddenly there is too much information and too little practicing what you have learnt. Do you know of any book or training video that teaches acoustic guitar in a slow manner with lots of practices for everything you are learning? Thanks for going through this. Please let me know if anything is not clear. You need to understand, that there is a reason, why many good books, teachers and methods put so much theory into their teaching. A good foundation of music theory will give you freedom, to play whatever you like. There is nothing more exiting than to have a full set of tools on hand and to know how to use them. I think that it is not so hard to learn 4-6 chords. Nobody will write a book just for that. A good traing program will aim to make a full-scale musician out of the reader and, this, like it or not, cannot be accomplished without theory and lots and lots of boring excercises. Give a man a fish, and you will feed him for one day. Teach a man how to fish and you will feed him for life. It is the same situation with guitar training. All the books are trying to "teach you how to fish". Why learn the chord shapes, if you can construct them yourself? Why learn songs by tabs, if you can trascribe them? 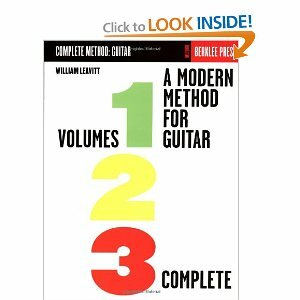 From the books, I really recomend A modern method for guitar by William Leavitt. It contains great step-by-step excersises and gives you just the amount of theory you need to become a great musician. Good luck in your playing! It's a quite different approach to most "products" for teaching guitar. The author is concerned mostly with how you think while moving your fingers around the instrument - precise motor control etc. There's not much music theory as such, mostly low-level physical exercises. I think it's the sort of thing you're looking for. I know the book/guitar method which teaches exactly the way You want. It focus clearly on useful things (chords, scales, etc.) to be practical out-of the box. The pace is intended not to be fast. Author recommends one chapter a week routine. 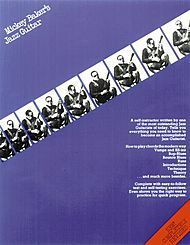 After a year You should be performing jazz player (yes, this is a jazz guitar method book. Hey! but this can be acoustic jazz :) Lessons are building material one on top of another. You will be assigned homework to !!! There is no tabs in this book only notation and chord charts - but You need only basic skill in reading. The drawback is little or no explanation at all. You don't know what You are learning but it definitely works! There is a whole series of Guitar for Dummies books. I think your question is one many people might ask, there are lot of people out there who just want to strum a tune. Also why dont you check out some of the buskers song books, these are usually filled with a good range of well known basic/intermediate difficulty songs, all they contain are the music/chords/tab/lyrics, nothing else. If you need to learn how to read tab; then it really is a simple as described in this guide, there is no need to buy a book for it. Once you learned that; you can find tabs all over the web for pretty much anything. It has a 2 sections on guitar fundamentals which take you from holding the guitar to learning chords, music theory etc. The notes for each show video both the sheet music and tab. This is site is also quite formal in their approach and the progression is very well thought out. This site is much less formal than guitar tricks, Obviously a lot of the begginner videos reinforce the same ideas, however next level guitar videos are more fun and mention loads of guitar info and general knowledge of all aspects of guitar playing. Its very practical and gets you playing. Some sections are better than guitartricks, ie you are introduced to a lot more non-open chords. The barre chord section in particular is far better than guitartricks. Take a look at http://www.learnandmaster.com/guitar/ This is a really good course, although it's not easy and not free. Perhaps the single most important aspect of learning an instrument is motivation. Here a suggestion that goes right to the core..
You have to identify with the learning pieces if you want to sustain your interest. I have many, many books on guitar, but in this respect a pair by Frederick Noad stand way out from the crowd. Yes, they address the classical guitar, but every piece presented somehow aches to be learned. Many (especially those of masters such as Tarrega) truly bring out that gorgeous restful brilliance of the instrument. These are -once you find the courage to perform- eternal attention-grabbers. Finally, you will be playing real pieces right from the start. In this respect, progress is fast, and your repertoire will grow of it's own accord. Though now many years ago, using these books, I learned to exploit full extent of the classical guitar fingerboard, and along the way learned many classical masterpieces that truly touch the soul. These books remain an absolute gem in my collection. Here a link to the first book. I really liked the eMedia Guitar Method program for my computer. Guitar scales further up the fret board. How to play upstrokes with our hand when playing an acoustic guitar? How to use chords notations in the tab? Will learning guitar tabs help me improve at learning other tabs/playing melodies? Help with guitar tab - which line indicates which string? Most Accurate More Than Words Tab/Tutorial for Guitar?